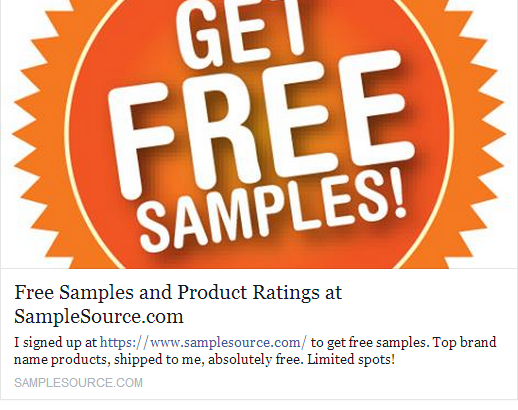 Head on over to Sample Source to get your 6 freebies! I just ordered mine! It even gave me 6 months worth of a magazine subscription too.